Steve Horsmon is a Certified Professional Life Coach and owner of Goodguys2Greatmen Relationship Coaching in Livermore, Colorado. Steve provides intensely personal, action oriented coaching services for men and women. He hosts private retreats and workshops designed to illicit that lump in the throat which inspires commitment and action in his clients. He has appeared on local television, blog radio, tele-summits, and podcasts all related to maintaining healthy relationships. He has written articles and guest blogs for numerous relationship and expert websites including his own blog on Goodguys2Greatmen.com. Steve shares his personal experience with “Should I stay or should I go” decision and how it felt for him? 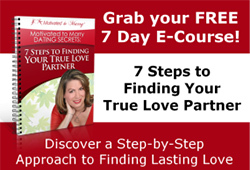 What’s the biggest challenges couples have when one or both are thinking of ending it? What questions should a person answer before they decide if they are staying or leaving a relationship? When is it appropriate to confront your partner or even give an ultimatum? What one piece of advice does Steve have for a man or woman who is thinking about whether to stay or go? Learn how to keep yourself from unconsciously spoiling the connection and passion you want! While this e-book was written for men, it can apply to any woman trying to save her relationship or marriage as well. ‹ Are you Ready to Get Serious and Back into the Swing of dating again this September? Tagged with: good guys, saving your marriage, Should I stay in my relationship? There are so many factors to consider and so there is no single equation to this problem.There are guides and steps to take. A very deep insight into this type of situation. Thumbs up! !